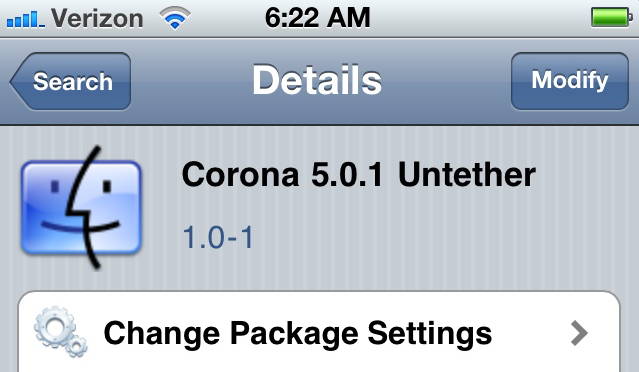 Earlier today, the Chronic-Dev released the Corona 5.0.1 Untether Cydia package to jailbreak the iOS 5.0.1 firmware untethered. You should use this package if you were previously using the 5.0.1 tethered jailbreak to avoid the whole re-jailbreak process. If you were not previously jailbroken, refer to this guide. After the Corona 5.0.1 Untether Cydia package is installed to your device, click Return To Cydia. Your done! See, the tethered jailbreak had something good come out of it.